Hello everyone! Recently I traveled to the city of Chicago and while I was there I had the privilege to shop for some makeup. To be quite honest, I find it really funny how I am able to buy high-end makeup for the full price while I tend to go to the clearance aisle when it comes to clothing. One of the things I, and many people, love about big cities is having access to stores that are not in your area. My sister and I went to Topshop and saw they were having a $2.00 sale on all marked makeup items. 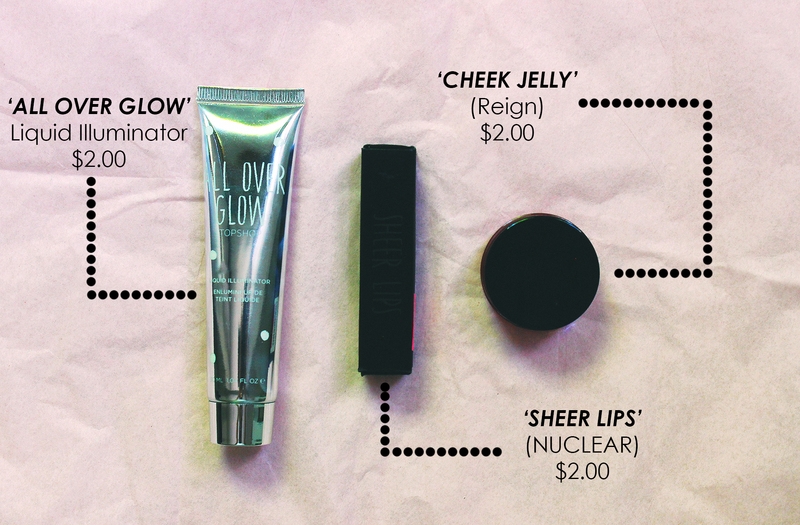 I picked up an illuminator, sheer lipstick in a hot pink color, and a red cheek jelly. After we left, we realized that we got charged for $4.00 instead of $2.00 on the makeup. Which reminds me that I have to write an email to them. 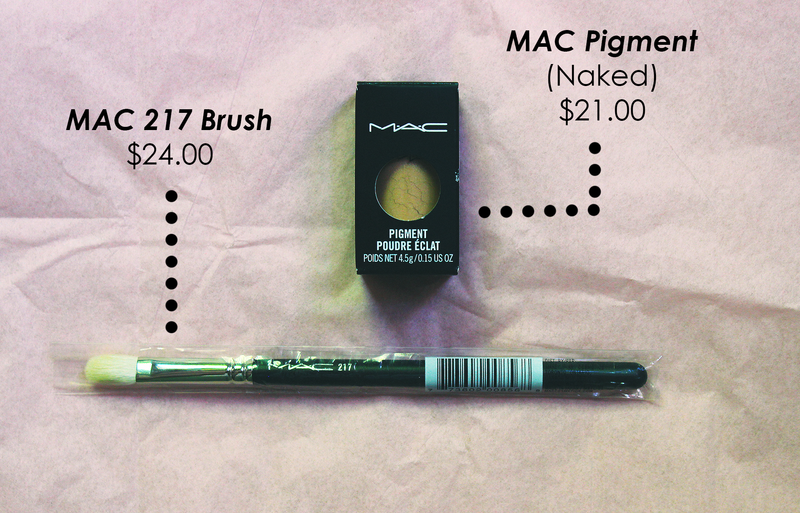 When then when to the Mac store to buy some products that I was interested in. First, I was really interested in a loose pigment because of the sheer 'there, but not there' formula. I wanted a color very similar to Lemon, but I think that color was discontinued. I decided on Naked because of the natural color and shimmer. Next I wanted to invest in some Mac tools. The most popular brush was the 217 brush because of it's multiple purposes. I did not which brush was which, I knew I wanted the 217. I only knew that it was made with synthetic bristles. I was just looking till a makeup artist approached and took a brush out of a container. I was like that must be it and it was! 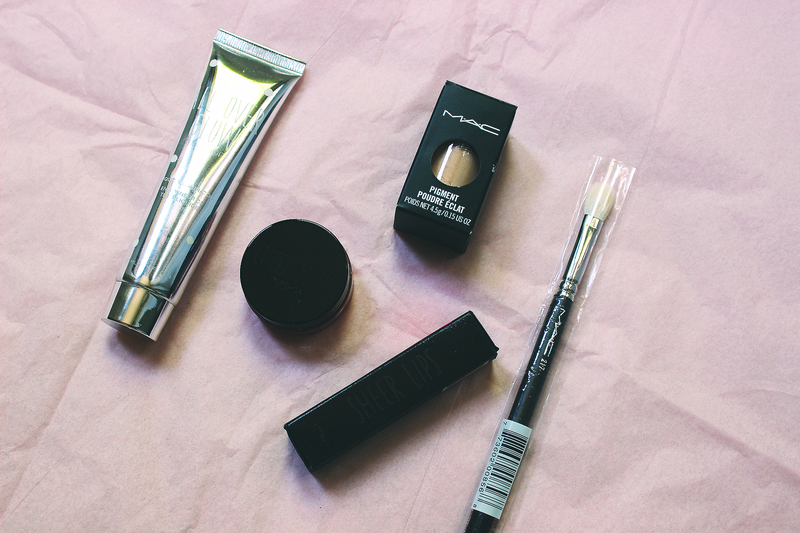 Overall, I have been seeing a dramatic shift in my makeup collection because all I buy are high-end makeup products. I would like to change that in the coming months because like I said I have no money...lol. What are your favorite products from MAC and TOPSHOP?